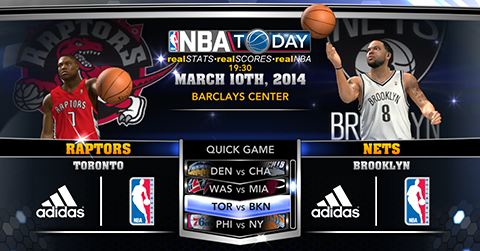 The March 10th NBA 2K14 roster update from 2K Sports is now available for download on all platforms. No roster changes or new addition of players to speak of, just minor rating adjustments, with some corrections to the injury status. Recently signed players that are yet to be added in the game including Jorge Gutierrez (Nets), Reggie Williams (Thunder), Royce White (Kings), Justin Hamilton (Bobcats), and Tony Mitchell (Bucks - not the same guy who's currently playing for the Pistons). Get the roster update by going to 2K Share or main game menu for next gen users. PC users can install the roster manually. Use download link below and follow the instructions provided in the patch. Fix: For PC users who are experiencing crash upon game load, make sure that you delete the "shoedata.DAT" in your shoes folder. Apparently, old user-edited shoes are not compatible with the latest Online Data files.